Colorado’s historic past of scruffy miners and card games in Wild West saloons has inspired a modern-day revival of gambling. The state isn’t unique, of course, in offering legalized gambling – 23 states have some form of gaming – and it doesn’t make the list of Top 10 in dollars. But it does offer 42 casinos in five towns surrounded by some of the breathtaking scenery that brought visitors in the first place. Three historic mining towns host high altitude casinos, and two Indian tribes run casinos on the plains in the southwest corner of the state. The big dogs in the gambling are in the mountains about 40 miles west of Denver. The historic mining towns of Black Hawk and neighboring Central City are where the bulk of the state’s casinos have set up shop. In the southern half of the state, Cripple Creek, 47 miles west of Colorado Springs, is home to nine casinos, built on a smaller scale behind historic facades. Although Cripple Creek, Central City and Black Hawk flourished in the state’s gold and silver boom in the late 1800s, they languished for many decades, losing population and getting by on tourism. In 1991, Colorado voters were wooed with the promise that limited stakes gambling could revive the towns and give the state a new source of funding for community colleges and historic preservation. In the 25 years since gambling set up shop, casinos have reported revenue of $15.7 billion and paid $2.1 billion in gaming tax. Current rules allow blackjack, poker, roulette, craps and slot machines. The maximum bet is $100, up from the original $5 approved in 1991, and the casinos operate 24 hours a day. 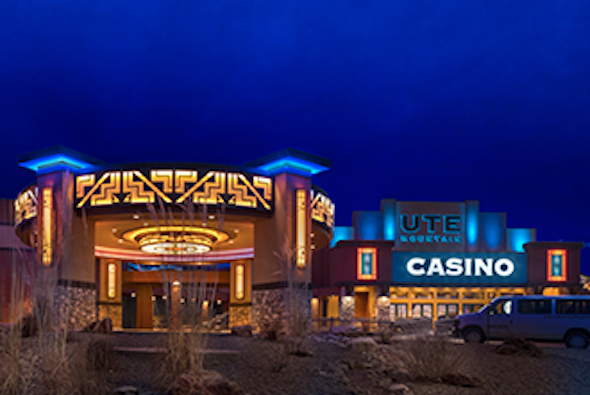 Ute Mountain Casino in Towaoc, 11 miles south of Cortez. These casinos, about a 90-minute drive apart, were built in 1995 after the Ute Mountain Tribe near Cortez and the Southern Ute Tribe near Durango signed gambling compacts with the state, as allowed by the Federal Indian Gaming Regulatory Act of 1988. Although the Indian casinos are exempt from the state rules, they operate like the three in mining towns. Both have hotels and restaurants and entertainment that includes boxing and martial arts. Both also offer a glimpse into the rich history of the tribes. The Canyons of the Ancients National Monument lies to the west, and Mesa Verde, with its ancient cliff dwellings, lies just to the south. Like 44 other states, Colorado also runs a state lottery with several games, including Powerball, with tickets available at most groceries and gas stations. The state lottery began in 1983 with scratch tickets only. To make the inevitable losing ticket more palatable, proceeds go to Colorado parks and open space, wildlife preservation and public school construction.